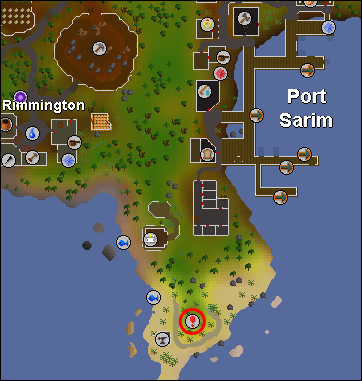 Located south of Port Sarim, with the entrance on a cliff near the coast, far away from banks, this is a good training spot as it isn't as full as other dungeons, except in the ice chamber, which is always full of people training on the Ice Warriors and Ice Giants. The deeper you go in the dungeon - the more dangerous will it be. You will also find four blurite rocks here, which are used in The Knights' Sword.